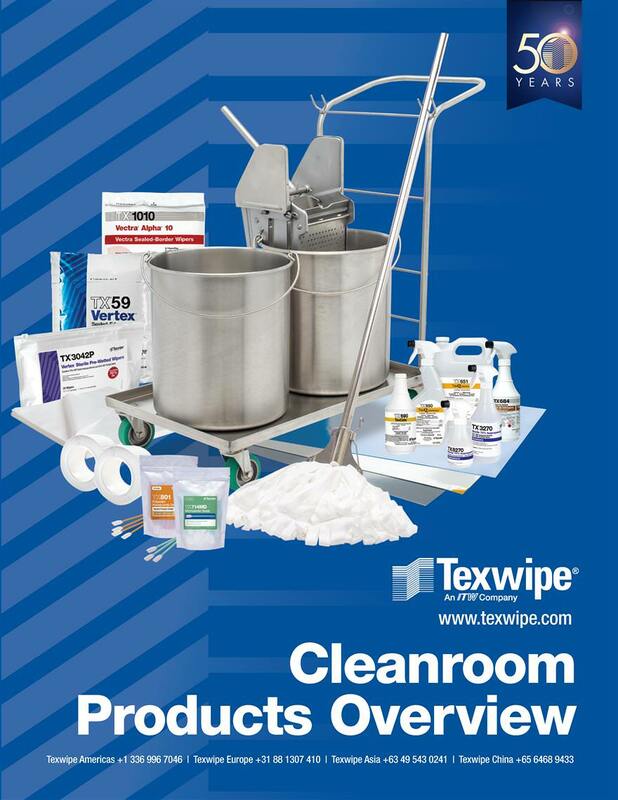 Texwipe is committed to supplying the highest quality, most consistent cleanroom consumable products. Mops: Cleanroom Mops assure low contamination, high absorbency and excellent abrasion resistance. Paper & Labels: TexWrite® products offer a complete system for stationery use in any cleanroom manufacturing environment. Swabs: Cleanroom Swabs, available in polyester, cotton, foam, ESD and sterile versions. USP <797> and USP <800>: Texwipe products selected to aid in meeting USP<797> and USP<800> Cleaning Requirements. Wipers: Wipers for cleanrooms and controlled environments.